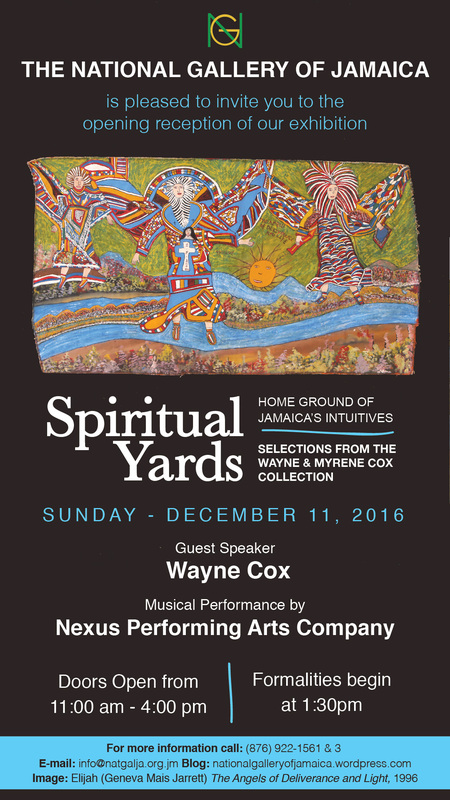 Here is our second post from the catalogue of the exhibition Spiritual Yards: Home Ground of Jamaica’s Intuitives – Selections from the Wayne and Myrene Cox Collection, which opens on December 11 – part 1 of the catalogue essay by Wayne Cox. Before she was Elijah, she was Geneva Mais Jarrett. As an adult, she decided to get baptized after an illness. The woman performing the baptism saw an overwhelming number of angels surrounding Jarrett during the baptism. She also saw the Prophet Elijah. Jarrett then began her life of spiritual service under her new name, Elijah. Her Revival Zion service sought spirit possession as a goal. 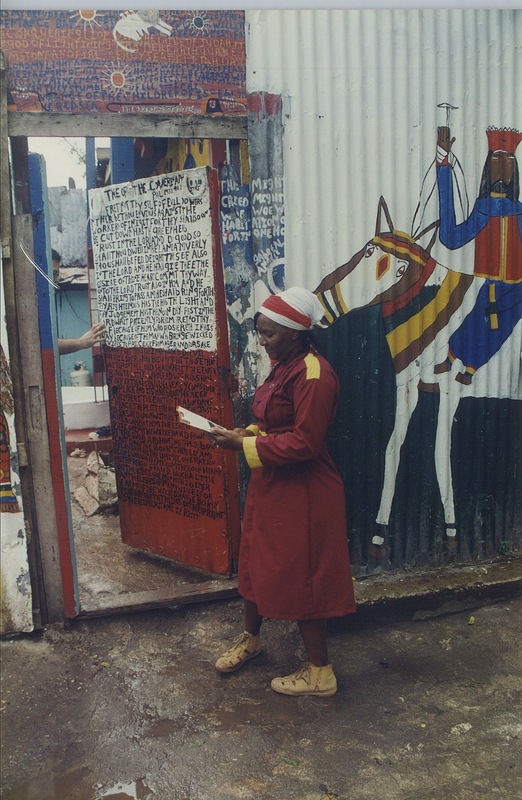 Her murals helped in drawing spirits, as did other physical aspects, such as water basins and poles through which spirits could enter from below the ground or within the water. 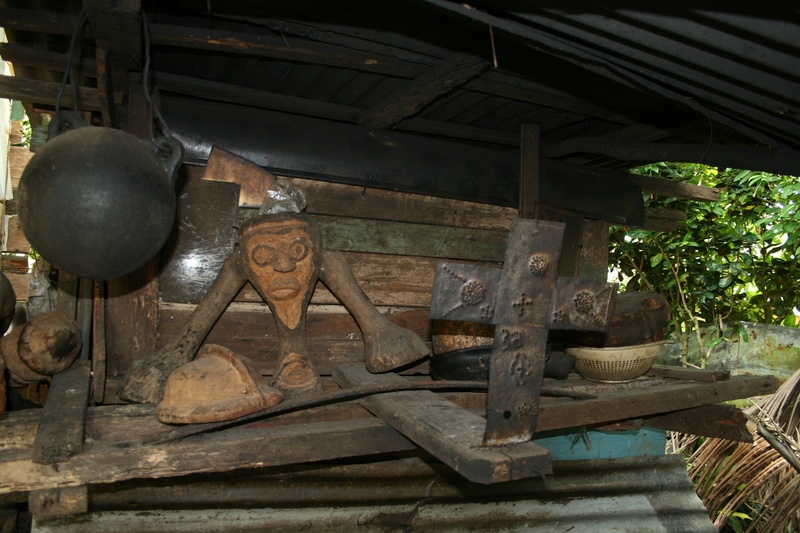 Other poles contained chest-high platforms, referred to as seals, on which were placed offerings of food and libation to attract the spirits. Music, singing, dancing, clapping and marching around the water basin counter clockwise were the welcoming call to the spirits. In Revival Zion the spirits who might answer the call include the Holy Spirit, Old Testament prophets, and archangels. A Swiss woman who admired her murals visited her and suggested she also paint these types of scenes on canvas. 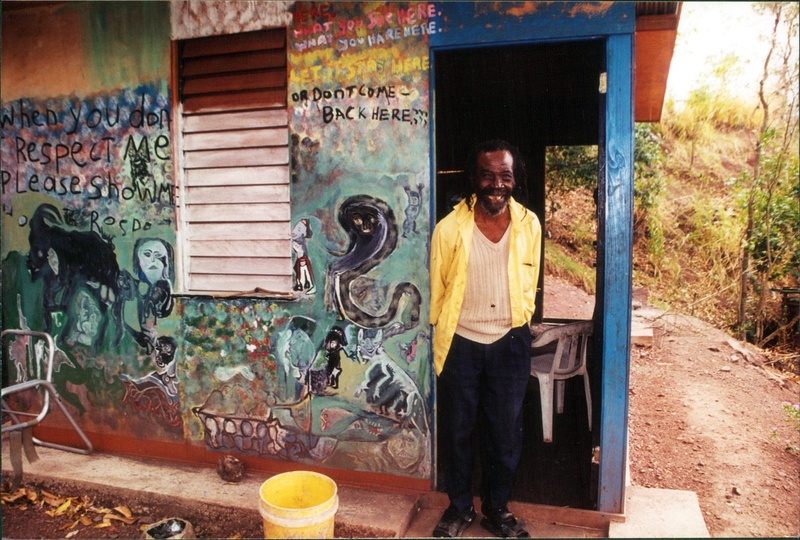 Elijah did and soon was included in international exhibitions and at the National Gallery of Jamaica. The artists in this exhibition are all culture-bearers (who) have taken upon themselves the weight of carrying tradition personally, and manifesting it by various means…it is an ancient calling. 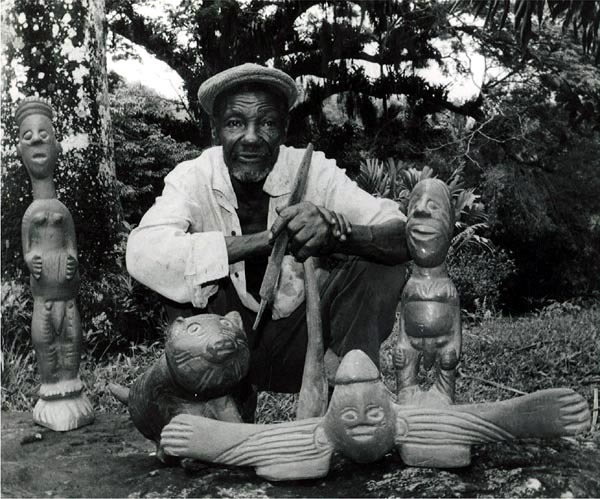 Born May 1, 1919, in Castleton, St Mary, Jamaica, and died September 18, 1998, William “Woody” Joseph was one of modern Jamaica’s most original artists, although his work was firmly rooted in African-Jamaican religious and cultural traditions. 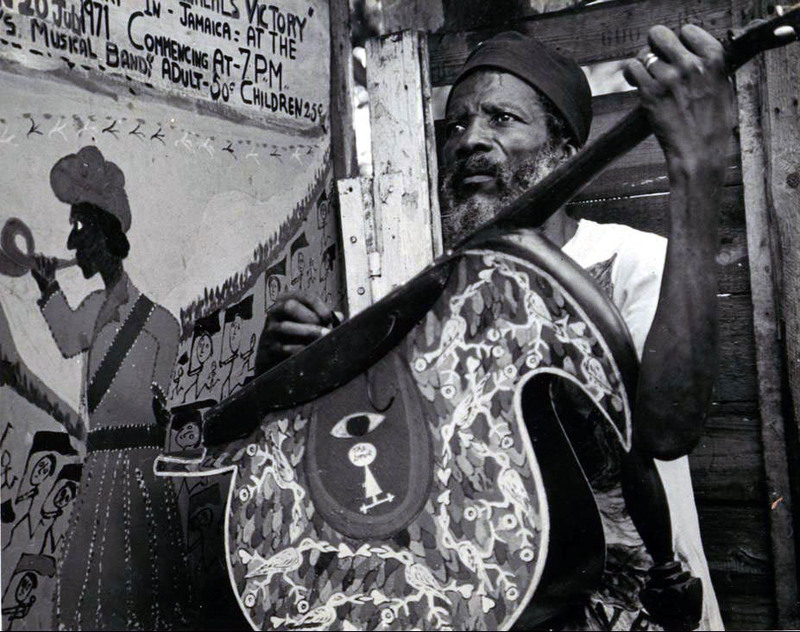 I was farming … yam, banana, cocoa, thyme, cane, dasheen, potato … farming to get the food from the bushes … didn’t have no dependents to work the field wid me … and one day, I tek sick, the two legs cripple. Couldn’t walk, couldn’t stand up, couldn’t lay down … I go to the river-side and was praying. When mi was praying, I see a piece of wood coming down in de water … I see the piece of wood swimming in the water to mi. I tek it up….and form a bird.